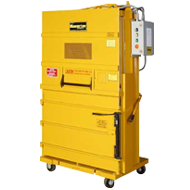 The M-42 LPSS is the most popular portable box, carton, clothing, stretch wrap and shrink wrap baler in the United States. 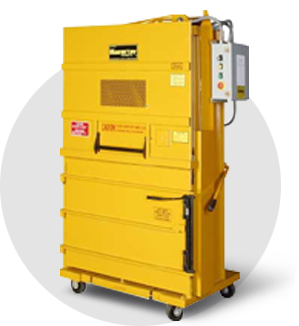 It is engineered with the same safety and operating features of our larger balers. It is mounted on casters for portability and operates beneath an 8 foot ceiling. Retail drug, hardware, liquor and convenience stores and many manufacturing operations use this model.